S-line PD2 out April 2nd! We know you've been waiting for this! 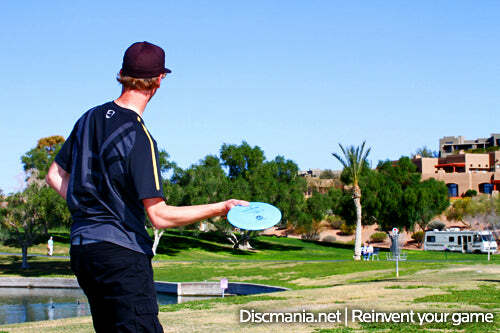 The PD2 in it's pre-existing forms (P-line & C-line*) have gathered a strong following of Disc Golfers that appreciate its take-no-prisoners flight pattern. We're extremely happy with the way the S-PD2 turned out: this configuration has been described even beefier than the C-line version and it definitely has the speed to match. The S-line plastic is grippy and very durable - we guarantee this bad boy won't flip after a couple of collisions. As a limited run release for the Russian Championships, the PD2 has already found it's way to the bags of some of the most skilled players of this game. During the Memorial Championships the S-PD2 was seen in action in the hands of Nikko Locastro, Avery Jenkins, Jussi Meresmaa and Seppo Paju to name a few. So if the top names of disc golf rely on this disc when they need to keep their shots out the trouble, why wouldn't you? 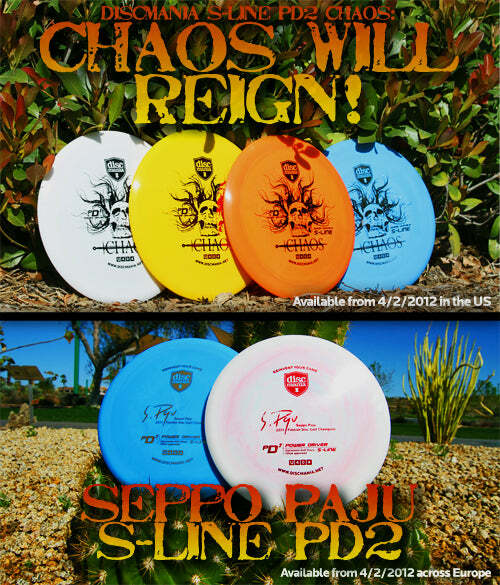 The S-PD2 will be released with two different artworks: The Chaos -stamp in the US and as the Seppo Paju signature edition in Europe. A certain percent of each sold signature S-PD2's will go to cover Seppo's touring expenses this year. So by buying the Seppo S-PD2, you also support Seppo's career. Sweet deal! DISClaimer: The PD2 is not for the faint of heart. This disc is extremely stable and fast and best used in the hands of players with lots of power. A-we-some for sidearm players.